House prices on Nakheel’s Palm Jumeirah project have fallen below AED800 per square foot for the first time in over three years – and nearly 60 percent down in the past five months, Arabian Business can reveal. Agents are now looking to offload three bedroom apartments covering 2,184 square foot for just AED1.7 million, representing only AED778 per square foot. And experts suggest even that figure could fall further. “The 1.7m (dirham) is the listed price, and we all know that nobody is selling for a listed price. There are people who may be willing to take even 1.5million, which would less than 700dhs per square foot,” said one agent. Other experts suggest that the continued falls are linked to the exchange rate between the pound and dirham. “With the rate have fallen to around five dirhams to the pound, landlords based in the UK can afford to take nearly 30% less than they were asking based on last year’s rate and still end up with the same amount of sterling in their bank. That factor is definitely pushing the market down more,” said the agent. The decline in sale prices comes as a new rental index for Dubai to be published this week will show a 30 percent fall in rents since March for Palm Jumeirah villas. The Landmark Advisory index is expected to show declines in other residential hotspots in Dubai such as apartments in Jumeirah Beach Residence (JBR) and townhouses in the Springs – with rental falls of eight percent compared to Landmark’s last index. “Since our last price map published at the end of March, we’ve seen a shift towards leasing. Owners are unable to sell their units and they are unwilling to lower their prices. They are adjusting their investment horizons and turning to leasing to generate revenue,” said Jesse Downs, director of research at Landmark Advisory, the consultancy division of Landmark Properties. 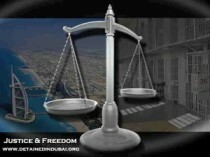 Dubai Financial Crisis – Is Nakheel not paying? According to a media report, the property developer owes UK engineering firms more than $290 million. Nakheel has declined to comment. 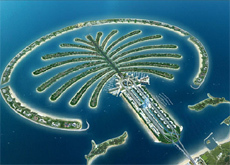 A report in the UK-based magazine New Civil Engineer quotes analysts as saying that real estate developer Nakheel has not paid debts amounting to more than $290 million. The money is owed to engineering companies in the UK such as Atkins, Mouchel, Scott Wilson and WSP. Earlier this month, Atkins revealed that delays in payment for its Middle-Eastern projects had forced the company to use around $36 million of its own cash to keep operations running over the past three months. “We expect that cash collection will remain challenging for at least the next few months,” the company said. According to the report in New Civil Engineer, WSP also released a statement recently, stating that it was making “appropriate and prudent provisions in respect of potential impairment of trade receivables and unbilled amounts due on contracts” in the Middle East. Like most developers in the region, and around the world, Nakheel has been hit hard by the financial crisis. Last month it announced that its $3 billion mall expansion program would be delayed by 12 months. In February this year, it indefinitely delayed the start of construction of the Worlds of Discovery theme park project. The development, which will include four water theme parks, is being undertaken in partnership with the US-based Busch Entertainment Corporation. In January, the developer announced that it would halt work on its one kilometer tall tower, the Nakheel Harbour & Tower, for a year. And in December last year, Nakheel confirmed that work on the Trump International Hotel and Tower in Palm Jumeirah had stopped, and that the project would be delayed indefinitely. It also postponed work on Frond N villas, Gateway Towers and The Universe. In November, the developer laid off 15 percent of its workforce – 500 employees. Around the world, real estate has been one of the sectors hit hardest by the financial crisis. Deutsche Bank estimates that in the US, up to half of the $1.3 trillion in commercial property loans dues for repayment by 2013 could be ineligible for refinancing – a potential time bomb for developers, many of whom will not be able to repay the debt. Being a government-owned company, Nakheel is eligible for a slice of the $10 billion raised by the Dubai government through a sale of bonds to the UAE Central Bank. Earlier this week, Nasser al-Shaikh, director general of Dubai Department of Finance, said that more than half of the $10 billion has been distributed to government-owned firms. He did not disclose names, but said the situation at these companies had improved. “All of the state-linked real estate developers have already started paying their bills,” he told Dubai Eye radio station. 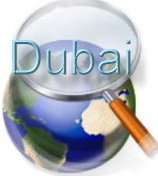 Posted in Dubai | Tagged: Dubai, Nakheel, The Palm Jumeirah | Comments Off on Dubai Financial Crisis – Is Nakheel not paying? Residents living on Palm Jumeirah in Dubai have been advised to stay out of the sea following reports of algal bloom in the UAE. Letters, dated Thursday, from Palm developer Nakheel were sent to people with homes on the man-made island to warn them to steer clear of the water, following advice from environmental health and safety officials. Algae are microscopic organisms which serve as an important marine food source. They can multiply so rapidly that they form dense patches in the water, known as blooms which have become more common in the region. A spokesman for Trakhees-EHS told Arabian Business: “Some blooms are harmful called Harmful Algal Bloom (HAB) and can cause risks to human health as well as the marine life. Currently, UAE is experiencing blooms in some coastal areas including Dubai. Last November, Sharjah Electricity and Water Authority (SEWA) suspended the operation of the new water desalination plant in Khor Khan due to the phenomenon. As well as the UAE’s Indian Ocean coastline, waters off Salalah and Muscat in Oman, Iran and the Straits of Hormuz have all been affected. The algae was first observed around Dibba and in Fujairah last August and has since affected activities of dive operators and hoteliers. Hundreds of tonnes of fish have suffocated because of a lack of oxygen in the affected waters. Samples taken by the Environment Agency – Abu Dhabi this year showed that the bloom is usually dominated by a micro-organism which is not harmful to humans called cochlodinium polykrikoides. The UAE is planning to work with the Woods Hole Oceanographic Institution, an American ocean research organisation, to implement a research programme. Posted in Dubai | Tagged: dubai beaches, The Palm Jumeirah | Comments Off on Residents living on Palm Jumeirah in Dubai have been advised to stay out of the sea following reports of algal bloom in the UAE.